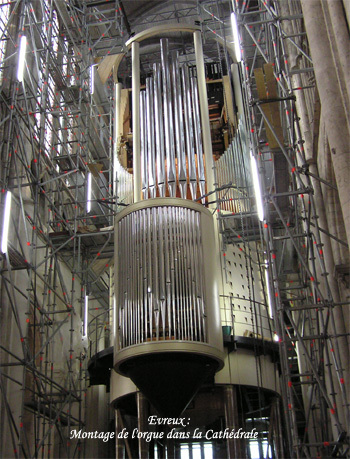 The company created in 1970 by Pascal Quoirin consists of a dozen of workers highly qualified in all the jobs of the organ's building today: from the conception of the projects to the installation and the voicing of instruments on their sites. 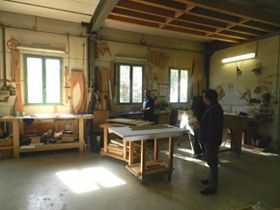 ... Or build new instruments by using at the same time techniques validated by the experience and the organ's history, and by exploiting the evolution of the knowledges to create contemporary organs . Mr Decaris, chief architect of Historic monuments, who made the design of the organ's case. 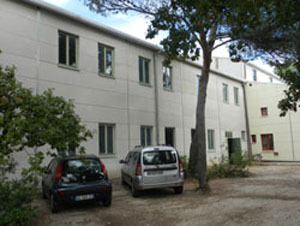 Our workshop is situated in Saint Didier, in Provence. 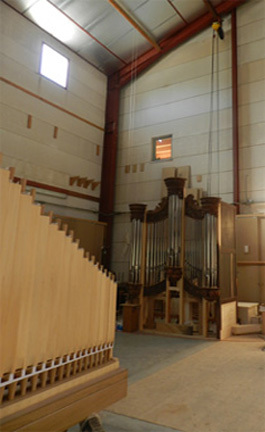 It has all the equipments necessary for the construction and for the restoration of all the parts of an organ, from its conception to its harmony. This one is overseen by Pascal Quoirin who received a musical training in piano and organ. This knowledge is for him a precious and determining help for the voicing of instruments. This work is its domain of preference. He applies it no general or exclusive theory because every organ is a particular case. But the purpose is always the same: to obtain " musical organs ".